My daughter Emma, 3, has a soaring imagination! Everything is about reaching it's highest potential! She wanted to fly, so I did my best to make it appear that she is in front of our front yard mountains in Cornwallville NY. She is bright, joyful and loves her costume which is mostly handme downs and dollar store items! 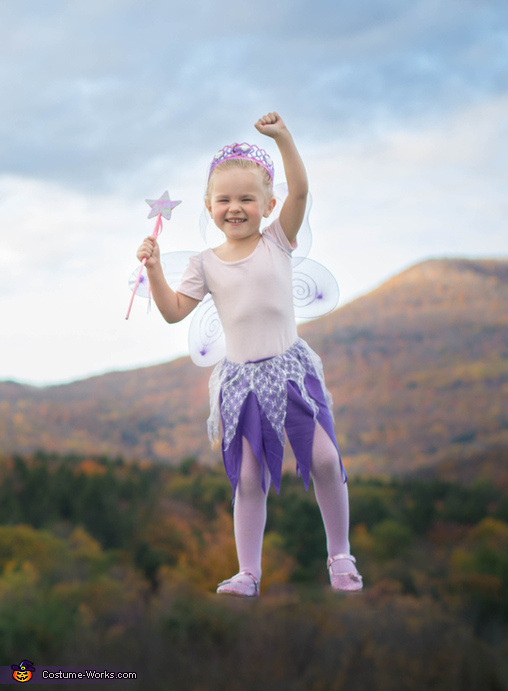 Her Gramma picked up the crown, wand and skirt in the dollar store. Her shirt and stockings were her sisters ballet clothes and her new sparkly shoes were ordered from Zulily for her birthday (October 9th). This comfortable but cheap outfit sparkles like her blue eyes!